Partial Knee Replacement, also known as Unicondylar Knee Replacement or Unicompartmental Knee Replacement is a surgical procedure performed to alleviate pain and mobility issues in patients who have limited damage to knee joints. The damage could be due to arthritis, rheumatoid arthritis or trauma. 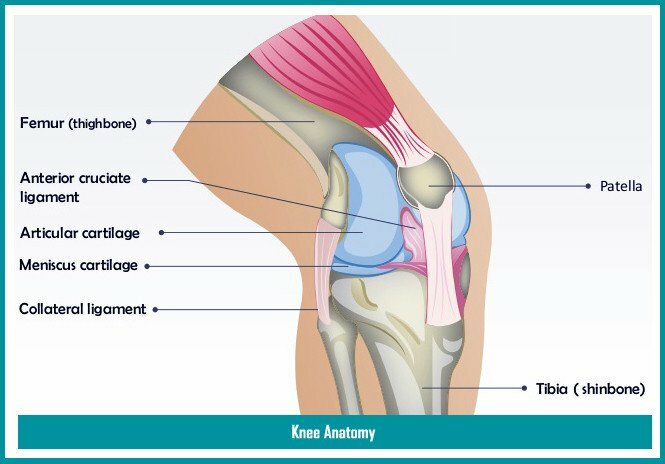 Before going into details of partial knee replacements, we must understand the anatomy of a knee joint. Lower end of thigh bone (femur). Upper ends of shin bone (tibia) and the smaller shin bone next to tibia (fibula). Kneecap, a bone at the front of the knee (patella). Ends of these bones are covered with articular cartilage, which acts as a shock absorber and allows gliding of bones against each other during movements. Joint capsule (synovial joint capsule) is a dense fibrous connective tissue that is attached to these bones via specialized attachment zones. It forms a sleeve around the joint space, holding bones together and providing active and passive stability to the joint. Joint capsule is made of bundles of collagen fibers and is lined with synovium. It forms a seal that secretes synovial fluid. Synovial fluid circulates around the joint bones and helps provide lubrication and nutrients to the joint. Inner membrane called the synovium, which secretes synovial fluid. Collateral ligaments: Medial and lateral collateral ligament present on either side of the knee, control sideways motion of the joint. Cruciate ligaments: Anterior and posterior cruciate ligaments are found inside the knee joint and cross each other to form an ‘X’. They control the joint’s motion forward and backward. Tendons connect muscles to bones. Patellar tendon is actually a ligament that connects the bottom of the kneecap to the top of the shin bone. Hamstrings: helps is bending the knees. Quadriceps: helps in straightening the knees. In cases of advanced osteoarthritis where non-invasive treatment methods do not relieve symptoms, knee replacement surgeries are advised. In a partial knee replacement (or unicompartmental knee replacement) only the affected compartment of the knee is replaced. 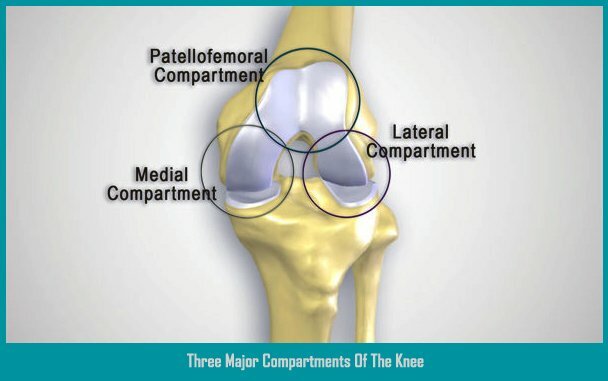 Whereas in a total knee replacement all three compartments of the knee are replaced. Campbell in 1940, reported his preliminary results on the interposition of Vitallium plates in the medial compartment of arthritic knees. In early 1950s McKeever stated that osteoarthritis could affect only a single compartment in a knee joint; and that, in such cases, the replacement of the entire joint may not be required. Partial knee replacements were designed to preserve most of the bone and anatomy, unlike total knee replacements. The use of smaller implants resulted in a shorter recovery period. In 1957, McKeever introduced Vitallium tibial plateau prosthesis. MacIntosh in 1958, came up with a tibial plateau made of acrylic; which was subsequently followed up by another variety, made of Vitallium, in 1964. The implant was reported to provide an overall pain relief in most patients, on 6 years follow-up. However, it was noted that the lack of fixation of the device could lead to migration and unsatisfactory results. Hence McKeever added a keel to this prosthesis, for attachment. Those days, the success rate of partial knee replacements was poor. Over the past decades, partial knee replacements have evolved significantly. Recent advances in technology have led to improved implant designs and surgical techniques. Besides, better prognosis of these surgeries is also attributed to appropriate patient selection. 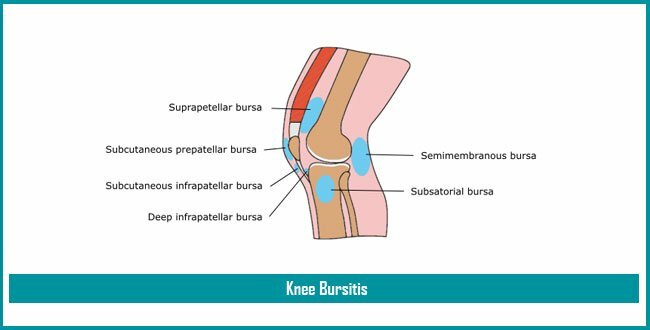 Owing to the fact that partial knee replacements are minimally invasive surgeries, the popularity of such surgeries and demand of these implants has increased manifold. The choice of implant depends on which compartment of the knee is damaged and whether the anterior cruciate ligament (ACL) is intact. Unicondylar fixed bearing – is most commonly used implant for partial knee replacements. Unicondylar mobile bearing – is the other type of implant used for these procedures. The placement of these implants is more technically demanding. Partial knee replacements are minimally invasive procedures. It is an advanced technique which involves minimal damage to muscles, ligaments, and tendons of the joint. This surgery has a faster recovery period and less postoperative pain as compared to total knee replacements. A partial knee replacement surgery requires an incision in front of the knee. Damaged cartilage is then removed from the knee compartment involved. Subsequently, the ends of femur and tibia are covered with metal implants which are then fixed to the respective bones. An acrylic (plastic) component of the implant is inserted between the implants to facilitate gliding movements. The implant fixation can be either done by a cement or cementless. Sutures or stitches are placed to seal the incision. During surgery, while assessing the joint, the surgeon may decide to perform a total knee replacement instead, if he deems necessary. Patients have to rely on surgeons for clinical judgment. Usually, surgeons discuss this probability with patients before surgery. This entire procedure is usually carried out while the patient is under general anesthesia or regional anesthesia (spinal or epidural) and takes approximately 1 to 2 hours. After surgery patients are rested in a recovery room to be closely monitored by nurses while recovering from anesthesia. In India, a partial knee replacement surgery may cost you approximately Rs 2.6 to 3.2 lakhs INR. However, the prices vary depending on the type of medical facilities chosen and the surgeon’s fee. Hence this price range is not absolute but is meant as a guide for patients before they plan their surgery. Similar to most surgeries, partial knee replacements come with additional costs, like pre-operative tests and medications; post-operative rehabilitation and medications; follow-up visits; the cost of physiotherapy, and miscellaneous costs like crutches or canes. Some government and charitable hospitals in India may provide the same surgery at a subsidized rate. Besides, implants manufactured in India, are less expensive than imported implants, but most patients are not aware of this option. Many surgeons do not prefer the use of Indian manufactured implants because they have been used for not more than 9 years and their long-term success rates haven’t been established yet. If you already have a medical insurance, then the good news is that most of the medical insurance companies in India now cover knee replacements. However, such claims are only accepted provided the policy has commenced 2 to 3 years prior to surgery; especially in cases with degenerative conditions like arthritis and osteoporosis. Patients need to talk to their surgeon and medical insurance company, well in advance. It may be prudent to find out, how much of the cost will be reimbursed. Although the coverage may not amount to the total cost, it would definitely make the surgery affordable. Recovery after partial knee replacements takes around 3 to 4 weeks, after which it is possible to walk without assistance. This procedure is characterized by less amount of pain and swelling as compared to total knee replacements. Medications like opioids, NSAIDs, and local anesthetics are used for pain management. Although these medicines help in making recovery more comfortable and faster, they need to be discontinued as and when your doctor suggests. It is important to enroll into a physical-therapy program along with home exercises for optimal outcome of a partial knee replacement surgery. Exercising and maintaining mobility will help prevent scarring of the replaced joint and improve muscle strength around the joint. Physiotherapy and exercises are usually recommended for 4 to 6 months post-surgery. They help in strengthening muscles, increasing the range of motion, and preventing scarring of the replaced joint. Periodic follow-ups are essential post-surgery, as advised by your surgeon. Patients older than 60 years of age, who aspire to perform routine activities comfortably, post-surgery. Patients who are not obese (less than 82 kgs in weight). Patients having intact joint ligaments (specifically ACL). Recently, partial knee replacements have been recommended for younger patients with moderate arthrosis. This procedure allows preservation of more bone making revision surgery easier. Younger patients eventually need a revision surgery, as knee implants have a lifespan of 15 to 20 years. Partial knee replacements have thus proven to be advantageous in younger patients, as well. Anterior cruciate ligament (ACL) deficiency. Younger patients with high activity. A study in 2015, conducted a comprehensive search of studies comparing partial knee replacements and total knee replacements, performed in the same patient. It was found that a joint with partial knee replacement provided statistically greater range of motion. Most of the failures of partial knee replacements have been found to be due to loosening of the implant and increased wear and tear due to delayed revision surgery. Another most common cause of failure is arthroscopic degeneration in opposite compartment of the joint. Let us discuss some points of comparison between partial knee replacements and total knee replacements. Minimally invasive involves preservation of most of the joint anatomy which is not damaged. Hence, more normal knee movements can be achieved. Easy to convert to a total knee replacement. Stress fractures, involving the shin bone (tibia). The risk of complications increase due to faulty implant or if the patient has a chronic illness. Implant failure can happen due to patient’s active lifestyle, wear and tear, faulty implant design or placement, and loosening of the implant. The lifespan of an implant is 15 to 20 years, hence younger patients who undergo partial knee replacements have to go through a revision surgery at a later stage. A second surgery may also be needed to correct a faulty implant; in the event of implant failure; dislocation or loosening. A revision surgery is more complicated and requires special implant tools. Apart from being more expensive, revision surgeries require a longer recovery period. Unfortunately, revision surgeries may give unsatisfactory results as compared to primary partial knee replacements. Higher rate of revision surgery. Worse function after revision surgery. It has been established that proper patient selection is essential for the success of partial knee replacements. Based on patient’s joint condition, general health, and lifestyle post- surgery, a surgeon decides whether to choose a partial knee replacement or otherwise. It is important for you to speak to your doctor and get a clearer picture about the procedure, its suitability in your joint condition, implant selection, and not to mention the costs. If you help your doctor in providing you the optimal treatment, you can benefit in receiving satisfactory results and a pain-free life ahead. Knee Replacement, Osteoarthritis, Rheumatoid Arthritis ACL, anterior cruciate ligament, arthritis, degenerative arthritis, knee replacement, knee replacement surgery, osteoarthritis, Partial Knee Replacement, rheumatoid arthritis, total knee replacement, unicompartmental knee replacement, Unicondylar fixed bearing, Unicondylar mobile bearing. permalink. Different Cost price in India of knee replacement surgery. According the different price of knee surgery has held by public and private hospitals. I had no idea that partial knee replacement had to do with operating only on the affected area of the knee whereas the full knee replacement dealt the whole of it. It is important to remember that taking the time to do and understand this can help you prepare yourself for the type of surgery you are having. Personally, I would want to take the time to consult with my doctor to make sure I know all I need to do prior and after my surgery to ensure proper recovery.